Do you download your favorite books to read them electronically or do you prefer the feel of traditional paper when reading? 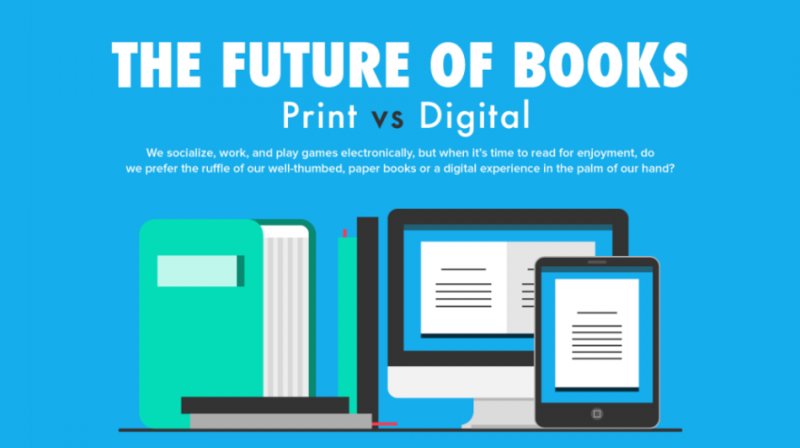 Social media and internet marketing company, NowSourcing, created an infographic titled, “The Future of Books Print vs Digital” for blurb, a self-publishing website for authors. This interesting infographic shares data and other information which provides a unique comparison of the two types of books. Many people are heavily divided on this issue with each side providing good points. For example, eBook lovers claim that hefty paper books lack the convenience and accessibility of their favorite reading materials. However, print fans argue that eBooks are hard on the eyes, and the feeling of paper simply cannot be replaced. A few years ago, people were convinced it was the beginning of the end for paper books. Between 2008 and 2010, eBook sales skyrocketed 1,260 percent following the release of improved eReaders. 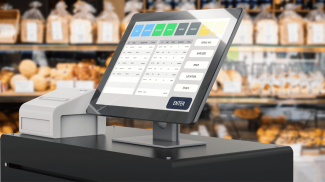 However, in 2015, the pendulum began to swing back with a blockbuster year for print, a 2 percent annual increase in paper book sales, and a 10 percent drop in eBook sales. Although paper books are popular again, there is one issue that remains. 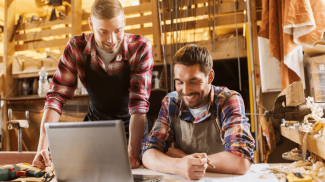 If you are a small business owner with books to offer, you’ll be potentially spending a lot more money having them printed and mailed. Depending on how much you charge for each book, you risk spending more than you earn in revenue. However, by offering eBooks through your website, people can purchase and download them to their electronic devices without the hassle. It’s a win-win for both sides. The Future Looks Bright for Reading! Whether you read or sell paper or digital books, the future of reading is looking bright. People will always want to read good content, regardless of the format. The key is to always provide your audience with the valuable information and stories they want to read.